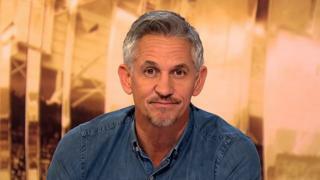 Match of the Day's Gary Lineker explains how you can get involved in the FA People's Cup, a five-a-side football tournament that will give tens of thousands of people the chance of Wembley glory. BBC Get Inspired has again teamed up with the Football Association and the country's leading small-pitch football providers to launch the 2016 FA People's Cup, a free knockout competition which will give the people of England the chance to play in their version of the FA Cup. Find out more and sign up. Disability players who want to take part can do so by emailing info@thefapeoplescup.com. Send your name, location, the details of your disability and your contact details to receive more information on local venues.